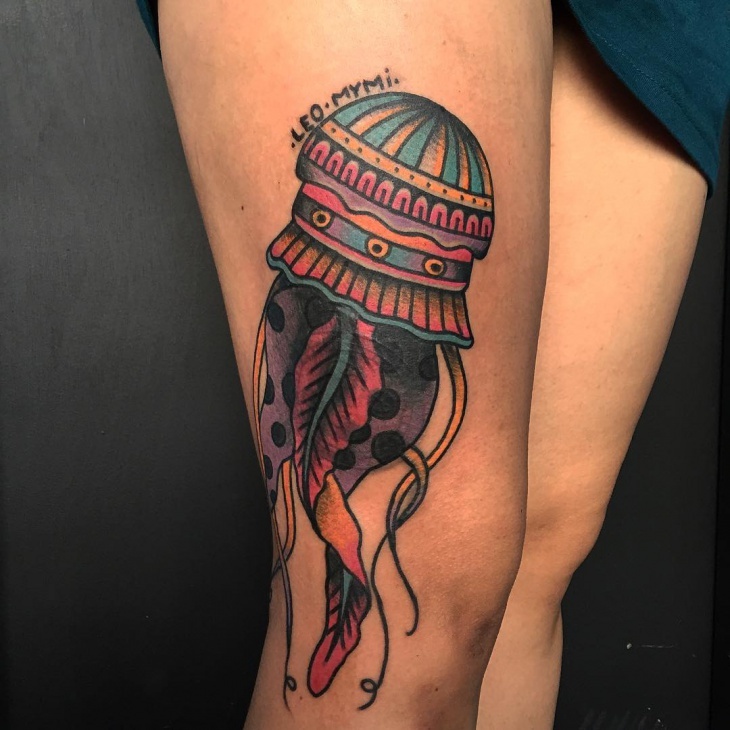 With calm and smooth, yet gracious movement, jellyfish is Poseidon of the ocean, intelligent like an octopus, but it also depicts flexibility and faith. Certain tribes in Oceania region consider it as a sign of immortality. 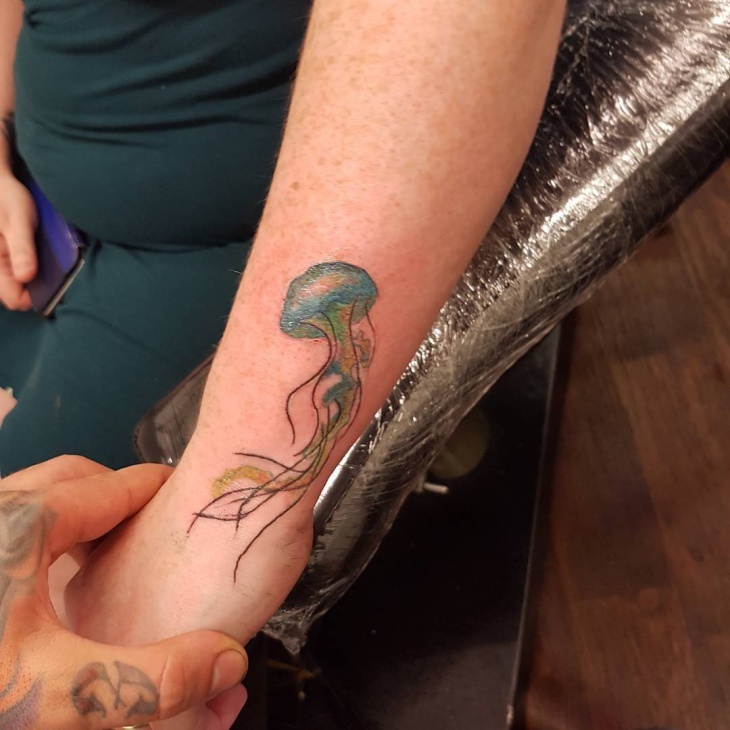 It is important to say that jellyfish tattoos require a lot of time to be completed properly. 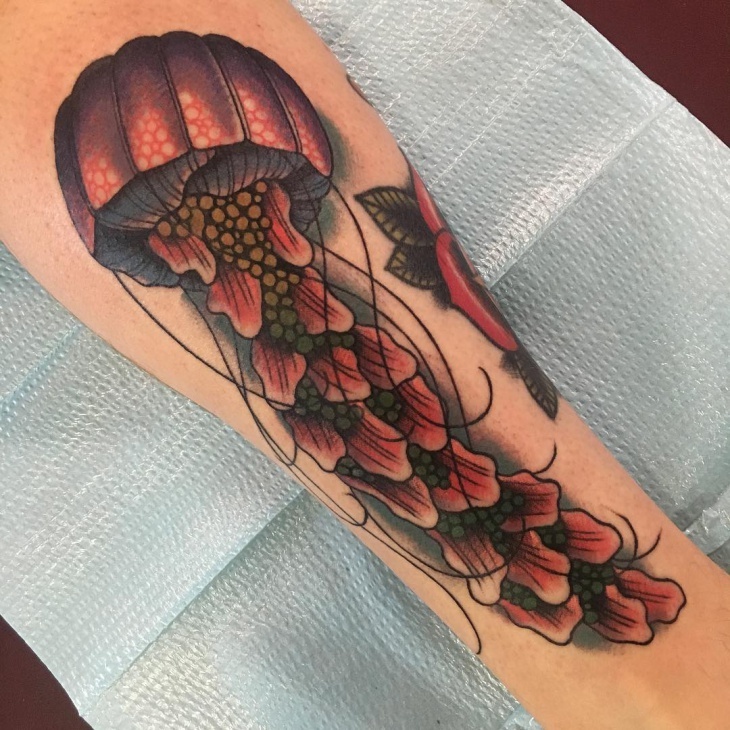 This is a complicated design, just like the koi fish tattoo. 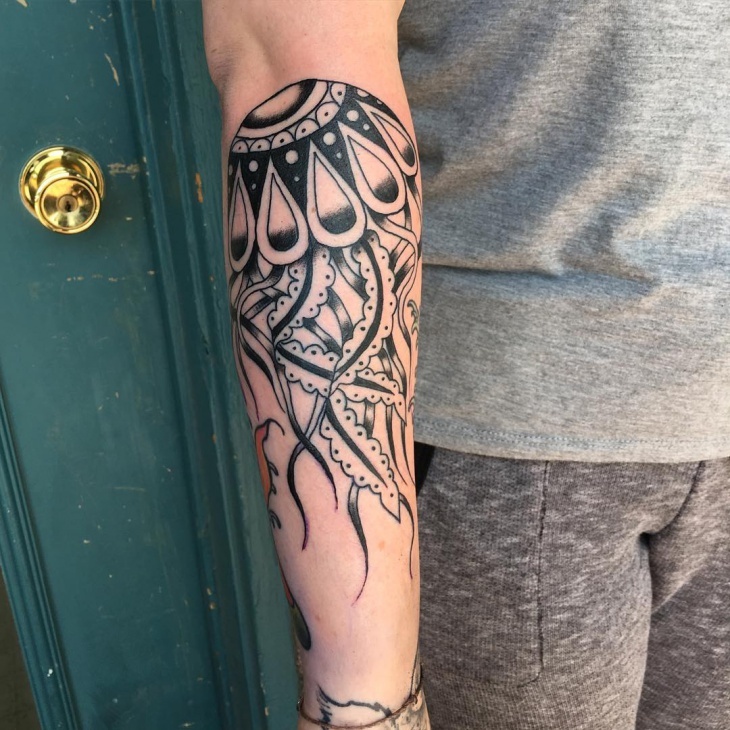 Beautiful tattoo design, with very detailed hand work. 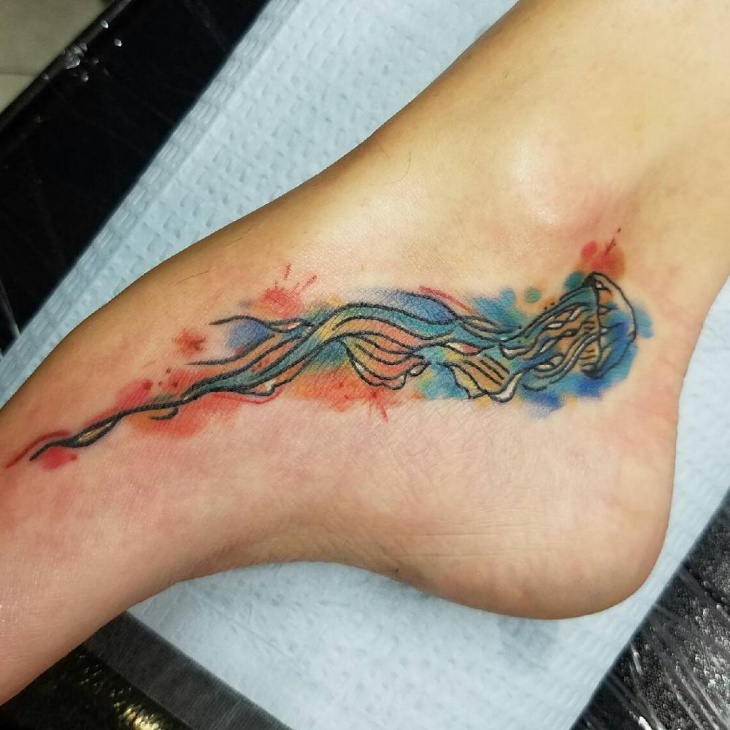 What is remarkable about this tattoo is its watercolor touch and light blue ink that makes the whole design even more interesting. 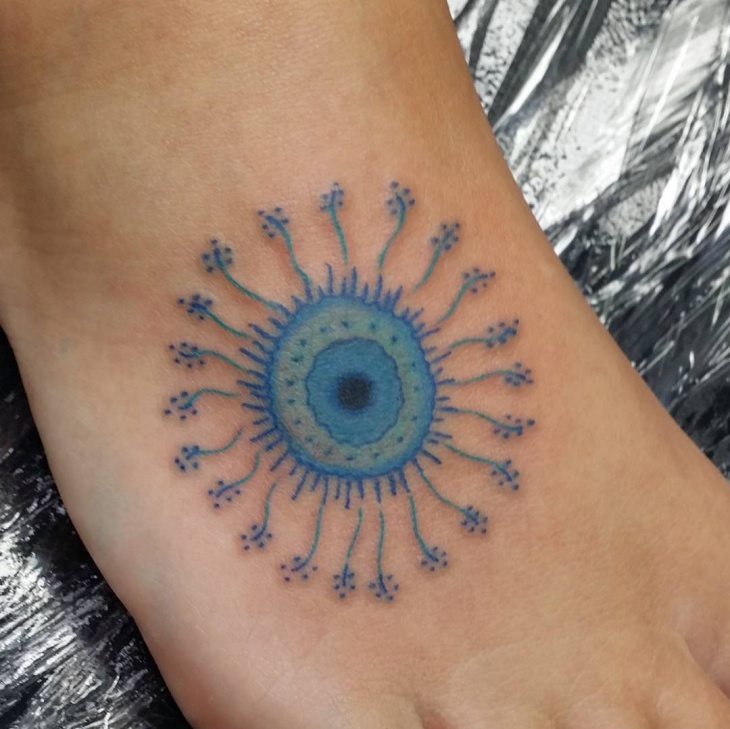 Incredible details require the calm hand of the artist who done this tattoo. 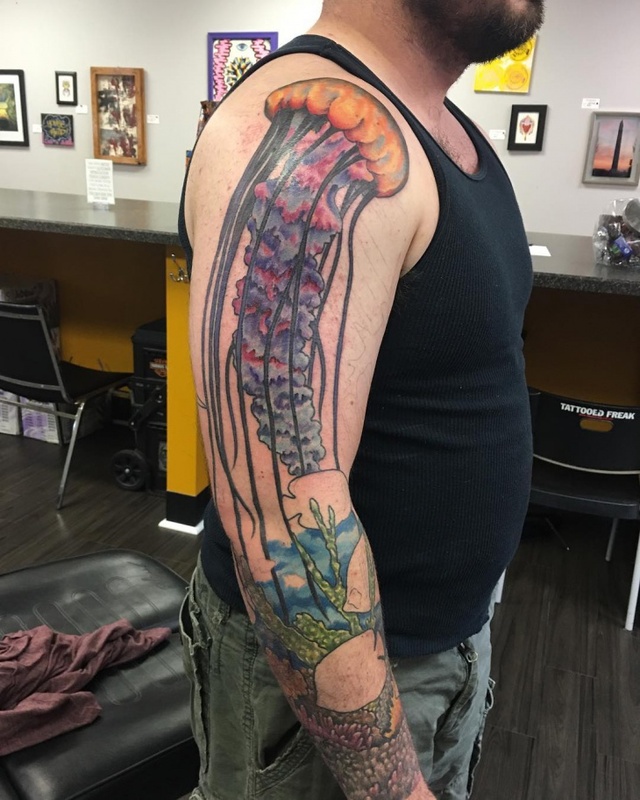 This is an epic merging of jellyfish and spinal cord. 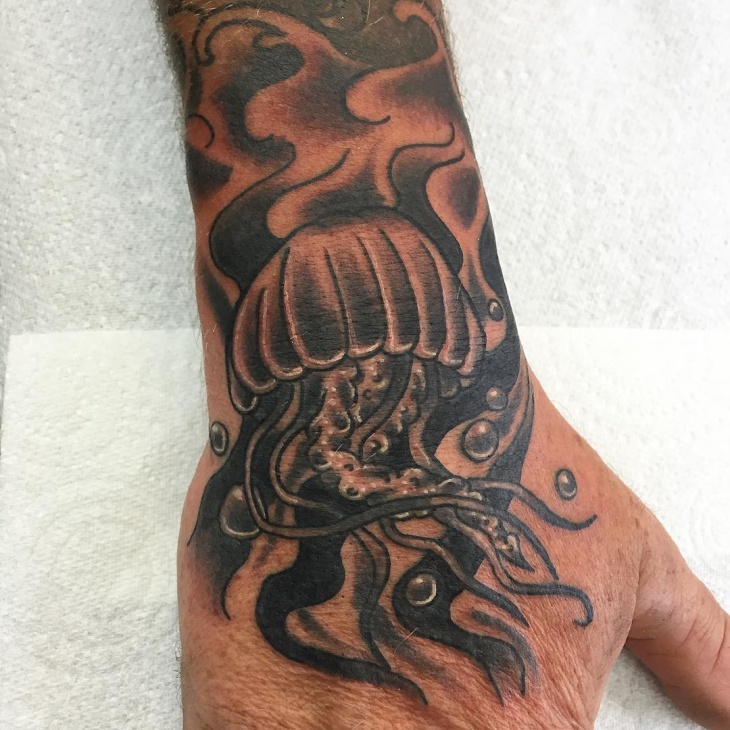 There is a hidden meaning here, because when jellyfish is going down to the bottom of the ocean, it represents an explorer and brave man who fights his way through the life. 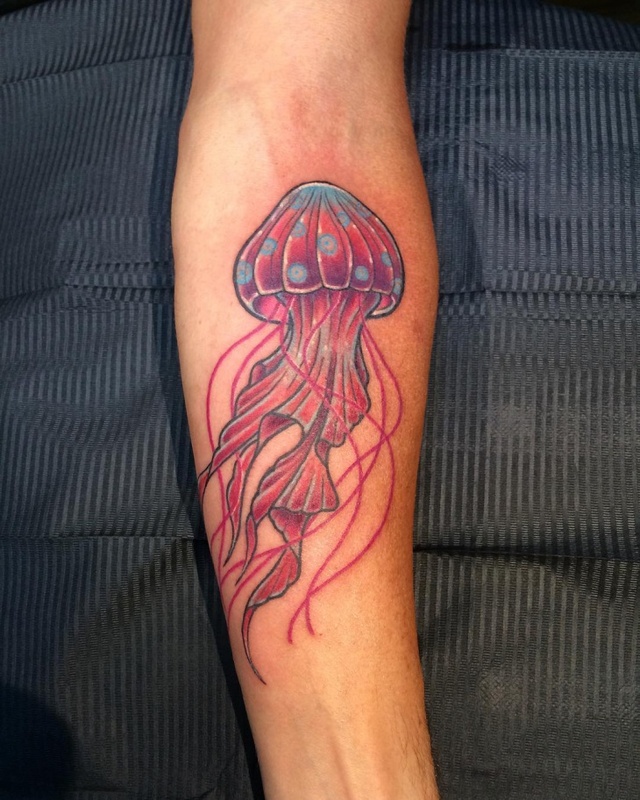 You will be surprised that jellyfish is not an animal or fish as you might think. Scientists put this creature in its own category. Here, we see this creature, as old as a dinosaur, which surfs the tidal currents in search of the tranquility and peace. If you are a person who had suffered a lot in the past, then this is the right tattoo to mark out the spot when you came home victorious. 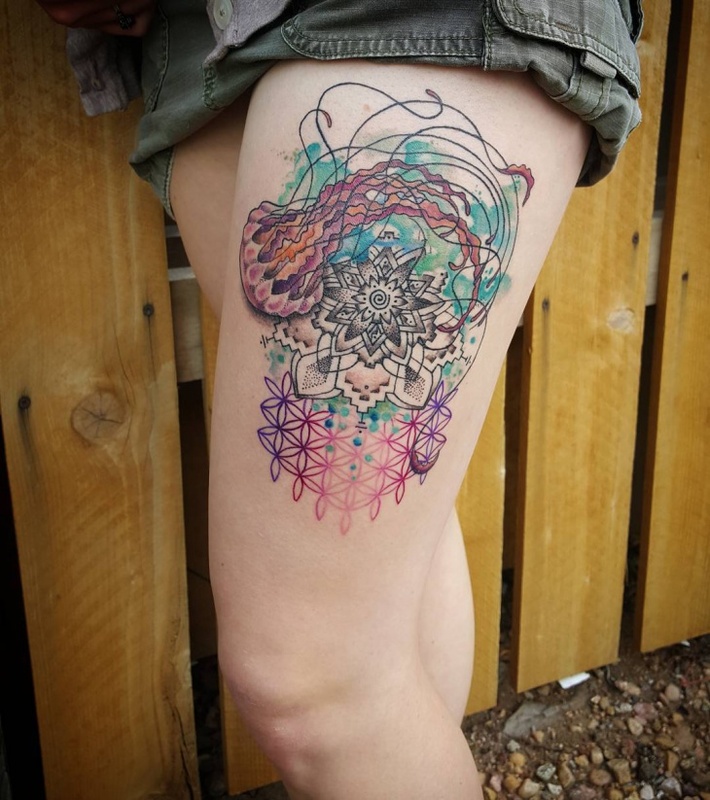 Here we have another sweet tattoo in a very free minded art setting. It looks like it came right out of a comic book or cartoon. 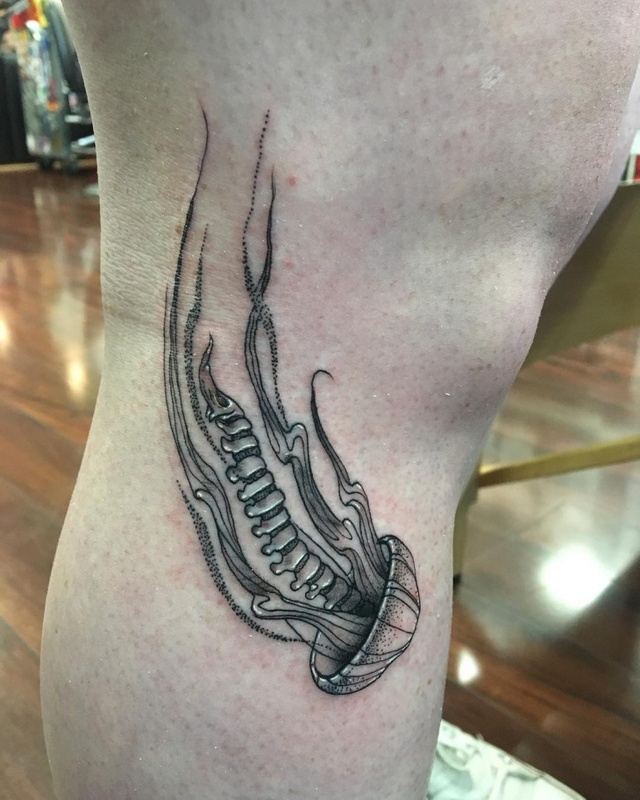 An anatomy of this creature is a little bit exaggerated at this tattoo, but this is a free art form, and here we are able to see its immortality and ability to turn itself into baby jellyfish and continue to live on through the process of so-called transdifferentiation. 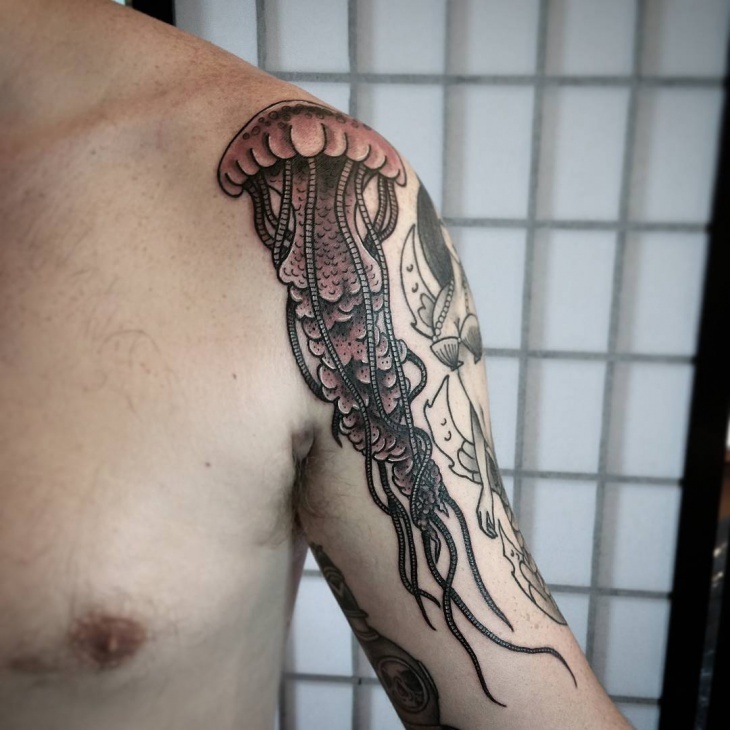 Incredible ink, there is nothing else to say. 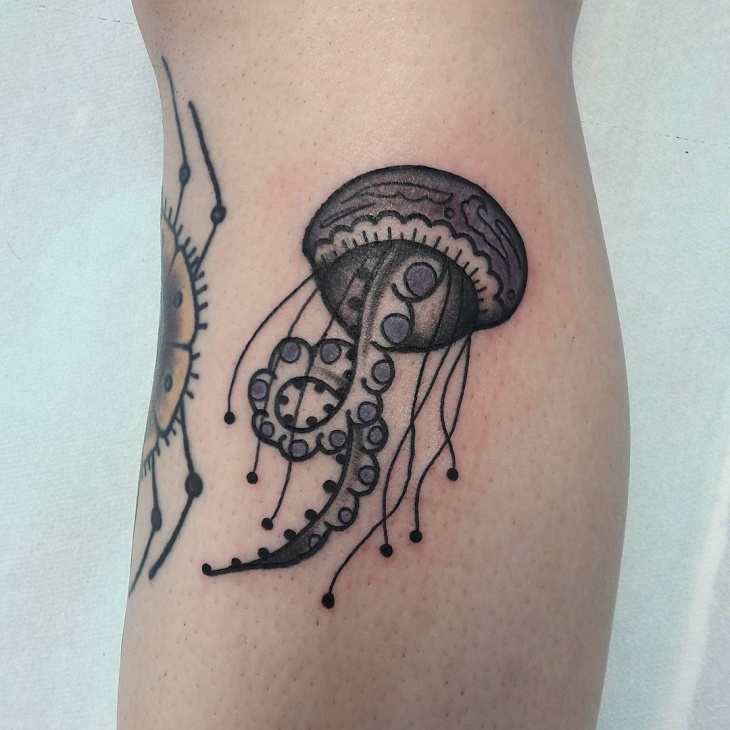 Although this looks like one of the Yakuza tattoos, we see the glimpse of a circle of life, regarding another depiction of ability to make itself younger and survive the stormy sea of life. Watch at this awesome details that require a lot of time and patience. 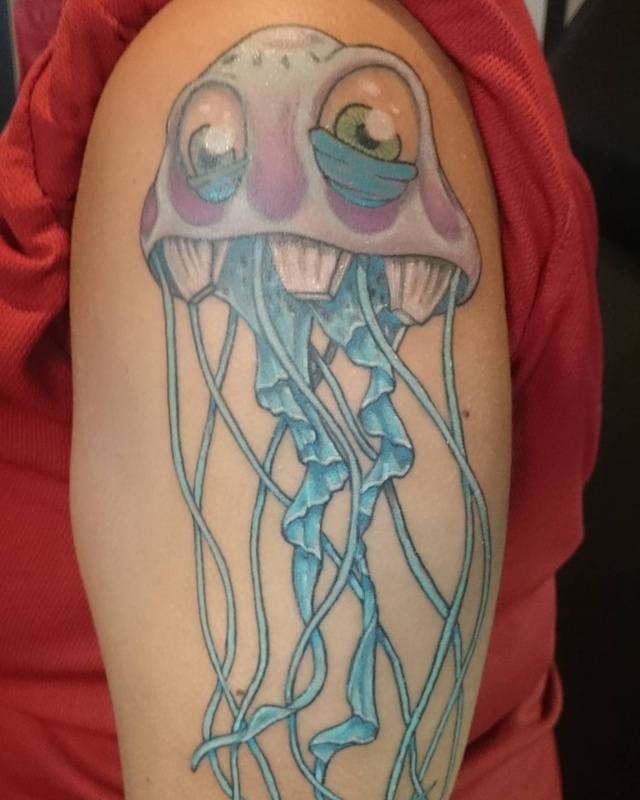 This is one of the best jellyfish tattoos we bumped so far. Don’t you agree with us? So many different colors, every detail is done in an immaculate manner. This kind of design is placed on the proper body part-right hand, which will give it a motion and live appearance. Incredible artistic display of the oldest creature on the planet Earth. Thus, no wonder it became a symbol of wisdom and a primal knowledge developed for millenniums. Here, we see fantastic work in psychedelic colors. True eye candy to the beholder. Fish Tattoo can be the only thing better than this. 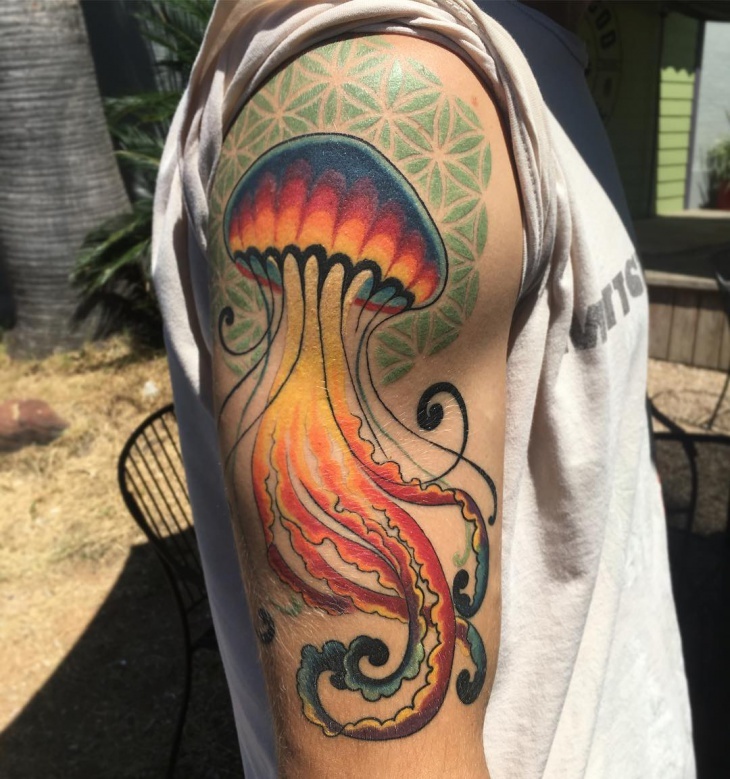 Look at this fantastic mix of colors, geometry forms, and jellyfish imagery achieved here. Colorful enough so the whole world can see. 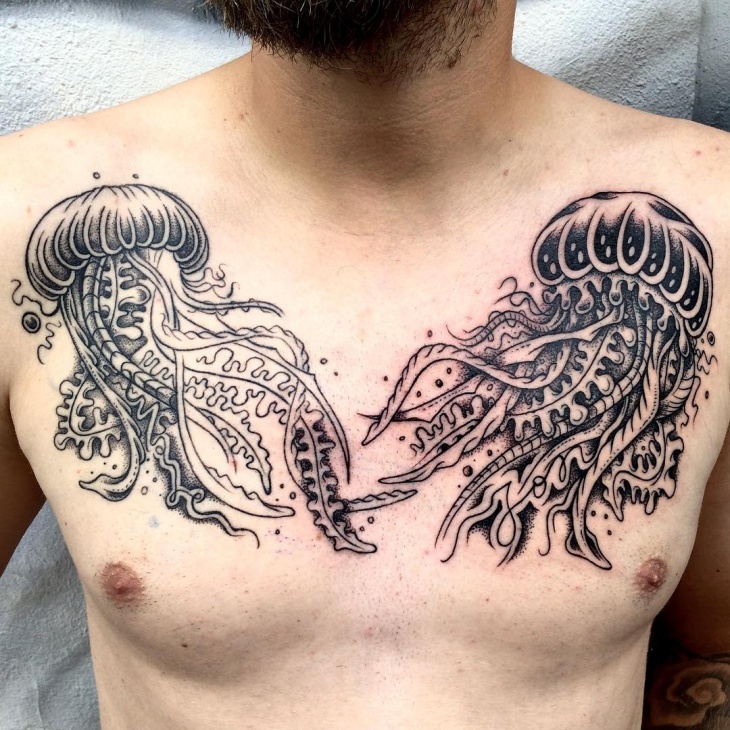 If your attention is to show off, this is the right tattoo design for you. We love this awesome display of the underwater dance performed by a jellyfish. Just look how nice an artist represented its movement, you can see a fluid, yet a dynamic movement here. 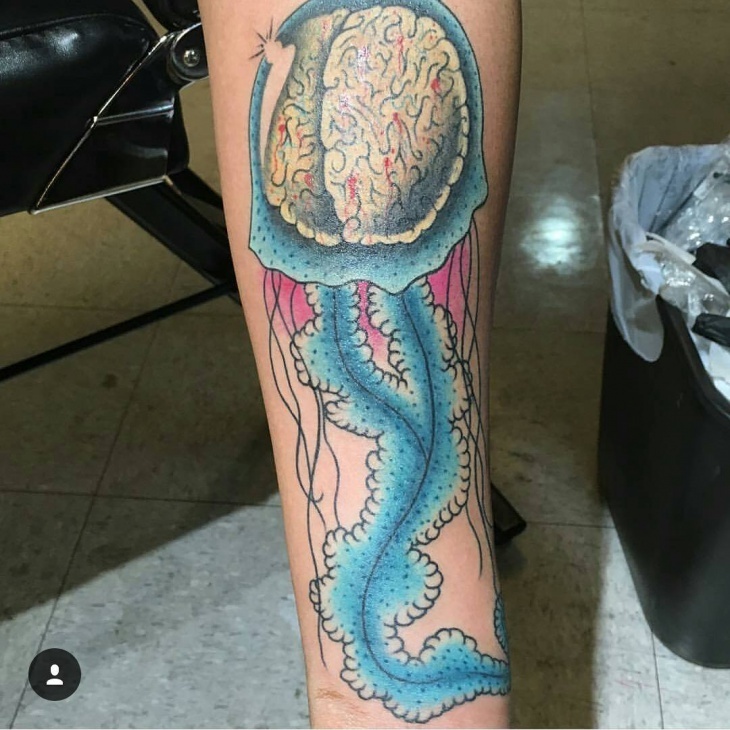 However, don’t forget that jellyfish is an opportunistic predator, so be aware of that secret meaning it has for its collector. 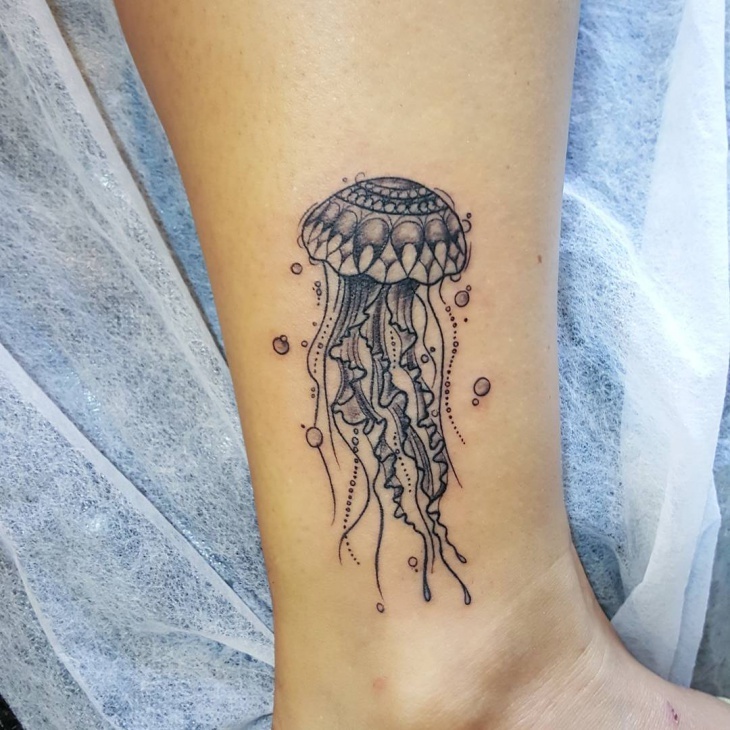 Using only instinct to survive, jellyfish became a symbol of a stubborn person who manages to overcome trouble despite the stormy weather and big waves the life throws at you. 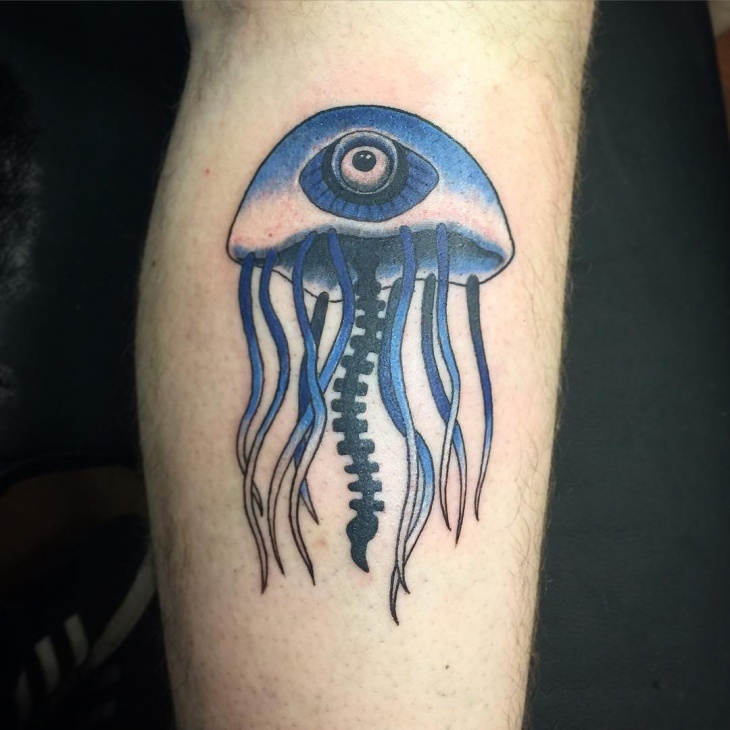 We see a great imagery on the right spot at a forearm of the lucky collector. When it comes to a right spot, see the Ship Tattoo. 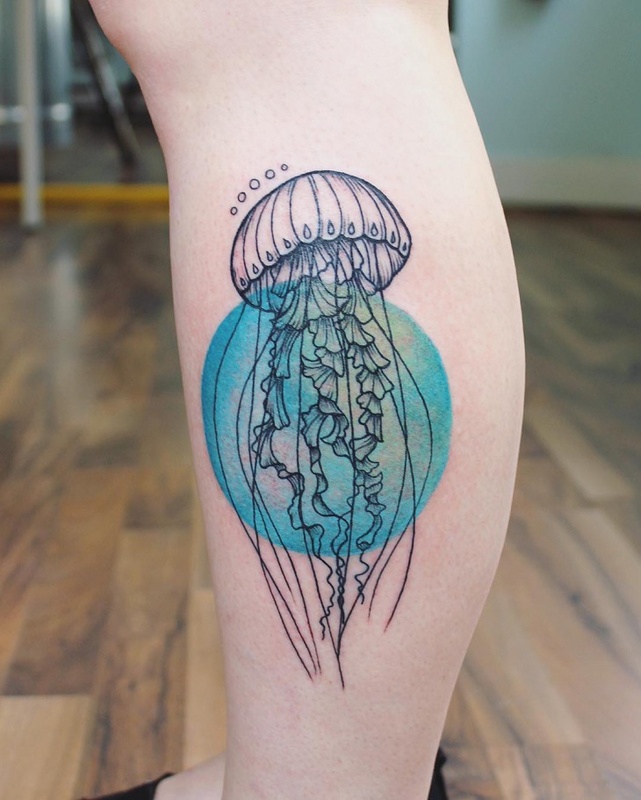 There is no creature on this world that is a more graceful than the jellyfish. Jellyfish is in harmony with the ocean, never seen to rush anywhere and it looks like a slow motion picture. Of course, everyone has their own personal meanings connected to his tattoo. 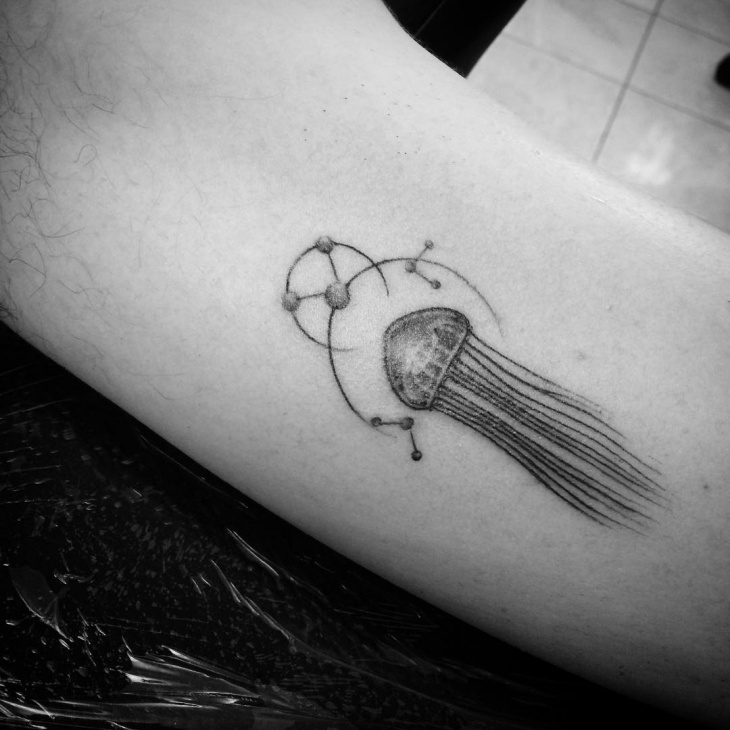 Don’t think that everybody pays attention to the spiritual meaning of the jellyfish. It will be an inspiration forever to the people who are survivors. Interesting to see heart tattoos.